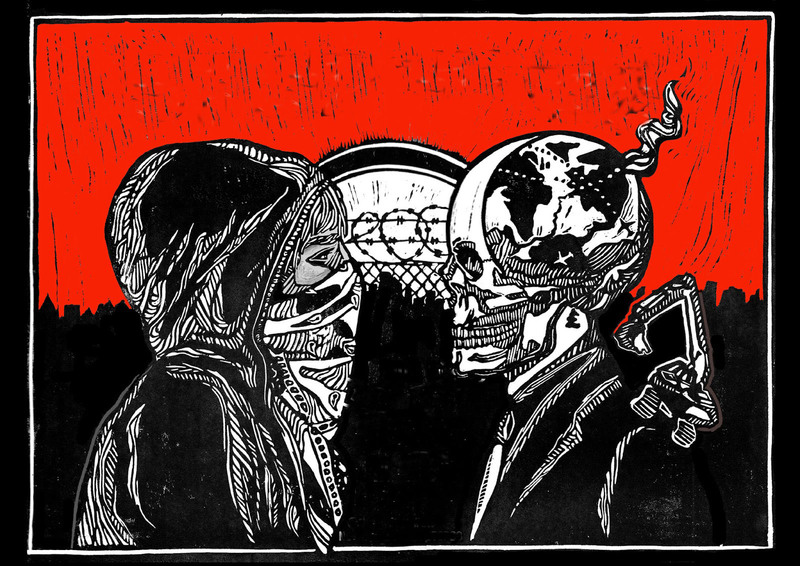 Hopeful signs are emerging that anarchism is on the point of an invigorating worldwide resurgence in the second half of the second decade of the 21st century. The abject sell-out of Syriza in Greece, together with the general redundancy of the Left (see Acorn 11) and the increasing irrelevance of “democratic” institutions in the face of total corporate-military control are all paving the way for a revival. And anarchism itself is responding by rediscovering some of the vigour and spirit it lost in the course of a 20th century in which radical idealism was crushed not just by capitalism but by its fake adversary, state-capitalist communism. Anarchists are increasingly leaving behind the dull bureaucratic brand of anarchism (see below) that has sometimes given it a bad name in past decades. And they are deepening their commitment to action as well as to words, to a heart-felt belief in the rightness of the anarchist ideal rather than to a dusty dogmatic affiliation, to an urgent need to challenge and confront the capitalist beast wherever it rears its head. This real anarchism understands that while fascism has to be fought in the streets, it has hidden strongholds in the board rooms, in the police stations, in the prisons and detention centres. It understands that to oppose militarism is to oppose capitalism in its most raw and directly murderous incarnation. It appreciates that capitalism also takes on a physical form in all its infrastructure – the roads, airports, factories, power stations and high-speed rail lines that are destroying this world in a never-ending hunger for profit. There is nothing new in all this, of course. 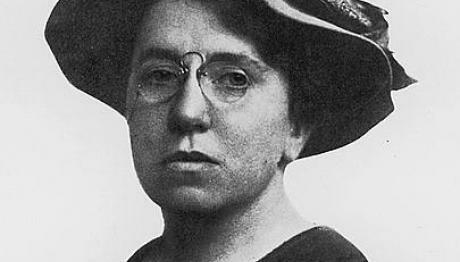 This authentic anarchism, which has never entirely died out, was the anarchism of the great figures of the 19th and early 20th centuries – giants like Mikael Bakunin, Voltairine de Cleyre, Emma Goldman and Gustav Landauer. And now today’s rebels are ready to turn their backs on the sterile libertarianised marxism that has too often been passed off as anarchism, as they embrace the power and glory of the real thing! A good example of this budding anarchist renaissance is the East London Rising event being staged by the Anarchist Action Network at the London Action Resource Centre (LARC), Whitechapel, from Monday August 3 to Sunday August 9. With a whole week of free workshops and discussions on various themes, it sets out to bring together a diverse spectrum of campaigning issues, while explaining how they all form part of the one anarchist struggle. 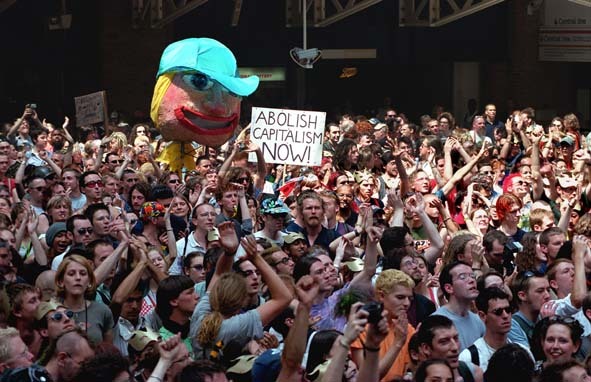 Of particular significance, perhaps, is the Environment and Degrowth day, on Tuesday August 4, which emphasises the way that the anarchist fight against capitalism is also a fight against industrialism and ecocide. This is to be followed from 3 to 4pm with a presentation by Earth First! and then from 5-6pm the London Mining Network will talk on “Collective, horizontal and consensus-based: How Indigenous self-organisation has stopped international mining giants”. 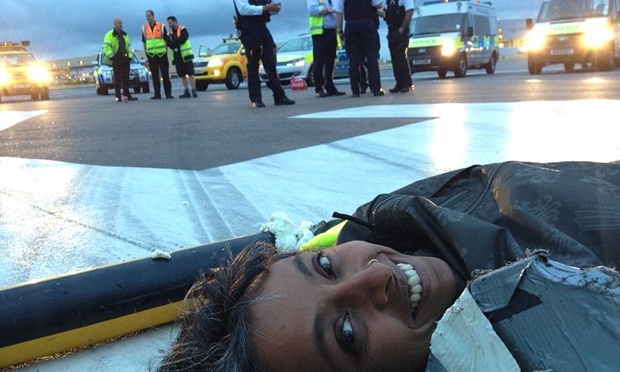 From 7pm to 8pm Transition Heathrow will do a workshop on resistance, degrowth and anarchism and then from 8pm Corporate Watch will be dealing with climate change and anti-capitalism. Also worth noting is the anti-militarism day, which is part of the build-up of resistance to the DSEI arms fair being held in East London this September. LARC is situated at 62 Fieldgate Street, Whitechapel, London, E1 1ES. The nearest underground stations are Whitechapel, Aldgate East and Aldgate. Neither anarcho-capitalism nor anarcho-industrialism make any sense because anarchism stands directly opposed to capitalism and to the industrial infrastructure on which it depends. That is the conclusion to a recent article by anarchist writer Paul Cudenec, in which he questions whether this is always fully understood by anarchists. In particular, he challenges the received wisdom that the only issue that need concern anarchists about industry relates to who controls it. 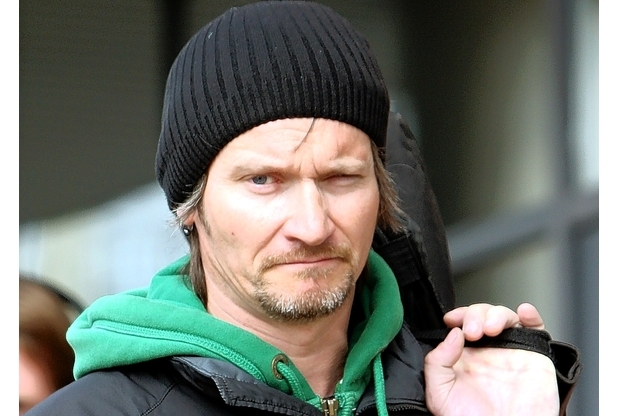 He asks whether fracking would suddenly become acceptable if Cuadrilla was a workers’ co-op. Cudenec adds: “I find it hard to believe that anyone’s idea of a future anarchist society could include factories of any kind. Who would be working in them if we didn’t live in a capitalist society where people desperately need to earn money to survive? Why would anyone work in a factory if they didn’t have to? 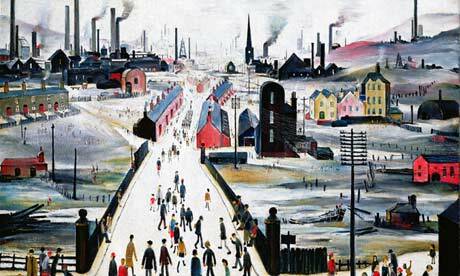 In an anarchist society, what kind of social, economic or physical compulsion could be applied to make people work in factories if, as seems likely, they didn’t particularly want to? 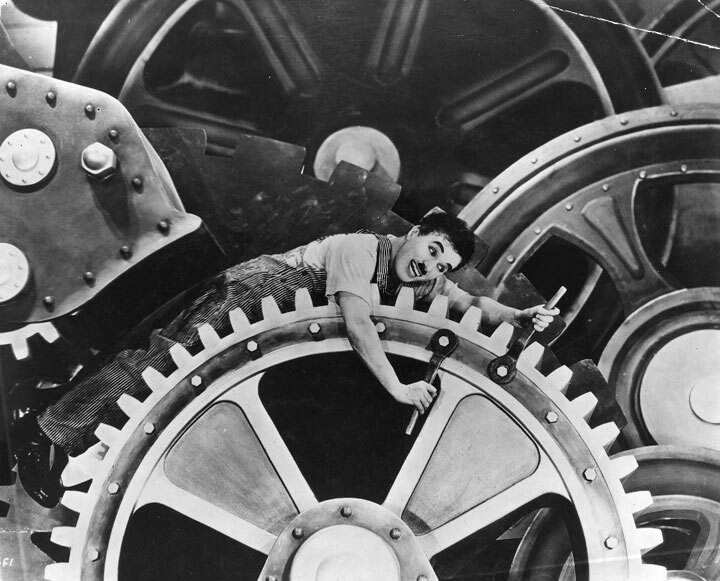 “Why do anarcho-industrialists think that factories came into existence in the first place? To help the workers? To make life better for all of us? Because we collectively needed the mass production of the things that factories make? 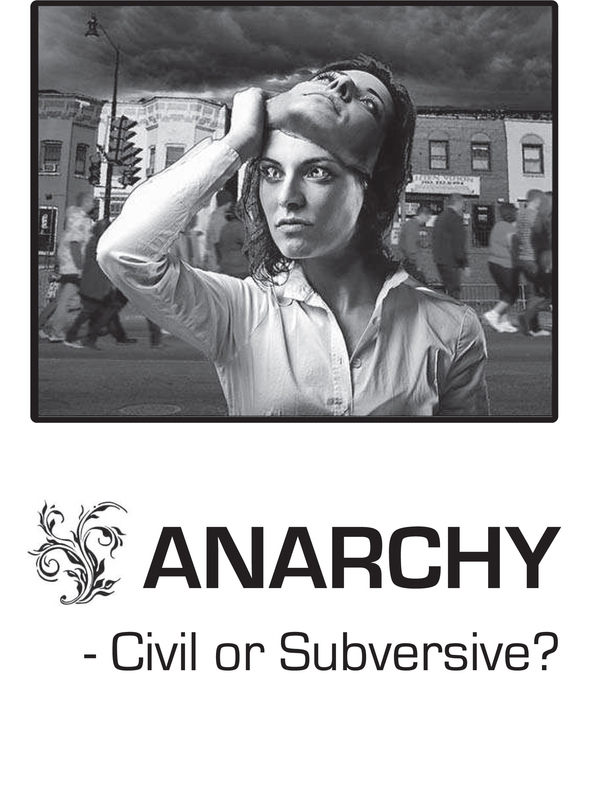 Some thought-provoking reflections on the smothered state of anarchism in the UK are contained in a controversial booklet called Anarchy – Civil or Subversive, now updated and online here. He adds: “Apart from maintaining democracy’s image of dialogue and permitted dissent, civil society also is a recuperating mediator and handily picks up services for the state and business, curbing some of their excesses to allow the smoother functioning of the system. Many ‘anarchist’ (or rather libertarian) activists work for NGOs, trade unions and the parasitic den of academia. One contributor to the booklet writes: “Civil anarchism turns on any anarchist or activist who dares reject the group-think and organise themselves outside of ‘acceptable limits’; and like all political groups, the civil anarchists tend toward homogeneity, centralisation, hierarchy, delegation and censorship, however much it is all dressed up as consensus”. 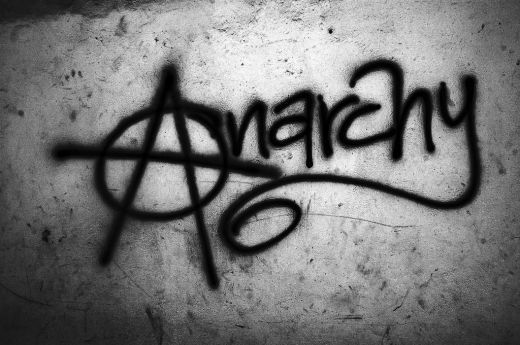 On a positive note, reflecting the new resurgence in authentic anarchism, another writer declares: “Anarchy appears to us as the life force of the planet, the creative destroyer which has never been extinguished from the pages of civilisation by the determined forces of ignorance and repression”. The massacre at the Amara Culture Centre in Suruç (Pîrsus), Kurdistan (within the Turkish state), last week has raised fears of a new phase in so-called “terrorism”. 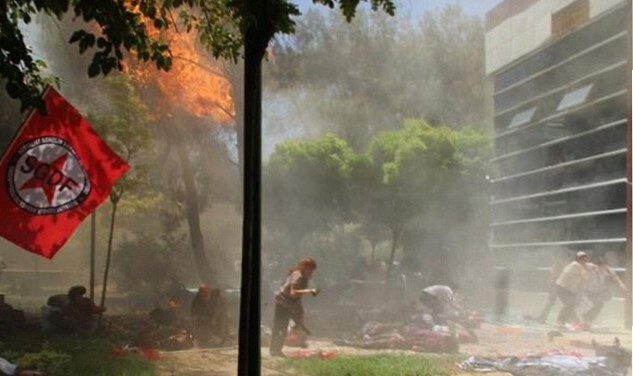 At least two anarchists were killed in the bombing of the left-wing centre – they have been named as Alper Sapan from Anarchy Initiative Eskişehir and Evrim Deniz Erol from Urfa. The attack is seen as an assault on the initiative to rebuild Kobanê after the ISIS attack last year. A report on the Rabble website reports: “Comrades in Turkey and Kurdistan say that it was done by ISIS in collusion with the Turkish state”. It is not just Turkey that colludes with ISIS – along with other Islamist guerrilla groups, ISIS has many traceable links to Western intelligence. These have been apparent in various armed conflicts from Afghanistan to Bosnia to Algeria. Author Nafeez Ahmed has been at the forefront of exposing what he described as long ago as 2006, in his important book The London Bombings, as “the covert alliance between British state interests and Islamist terrorist networks”. He writes: “The international terrorist network implicated in the London bombings extends to a number of regions, including the Balkans, Asia and Africa (namely North and West). 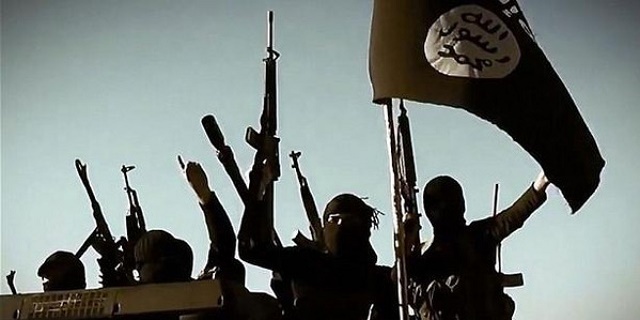 In all these areas militant Islamist networks have operated in collaboration with the military and intelligence institutions of Britain, the US and European countries. The current wave of Islamist terrorism is often regarded as the modern equivalent of the Cold War “Gladio” network of far-right extremists controlled by US and UK intelligence. 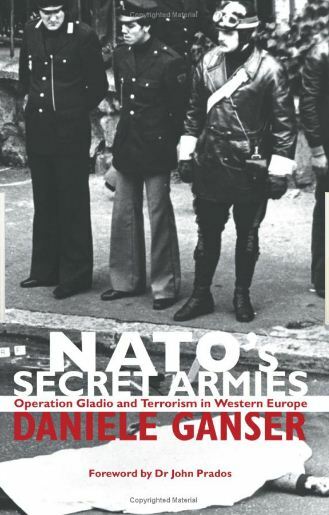 As Ganser sets out in his book NATO’s Secret Armies: Operation Gladio and Terrorism in Western Europe, right-wing extremists including surviving Nazis and Fascists were recruited by US and British intelligence at the end of the Second World War to form an “anti-communist” terror network. Ostensibly intended to fight any Soviet invasion of Europe, it quickly switched to countering the threat to capitalism posed by radicals, carrying out “false flag” attacks blamed on leftists and anarchists as part of a “strategy of tension” to create fear and drive the public into the “safe” hands of the capitalist state. In Turkey, from the 1960s, there was an extreme right Turkish militia called the Grey Wolves (Bozkurt), described by author Daniele Ganser as “a brutal network of trained and armed men ready to use violence to further the cause of Pan-Turkism”. The Grey Wolves were eventually exposed as having been part of a CIA-run secret army dedicated to protecting Western capitalist interests. One of those who spoke out was General Talat Turhan, himself involved in a coup d’etat, who later declared: “This is the secret unit of the NATO countries”. Although the Gladio network was exposed most fully in Italy (the Bologna bombing was one of its murderous acts, for instance), it operated across Europe, including the UK, where the conflict in the north of Ireland was an ideal training ground. The worrying lack of knowledge and understanding, even in radical circles, of the extent to which terrorism was secretly deployed by the capitalist system from the 1940s to the 1980s sadly means that there is little to stop it using the same techniques again today. 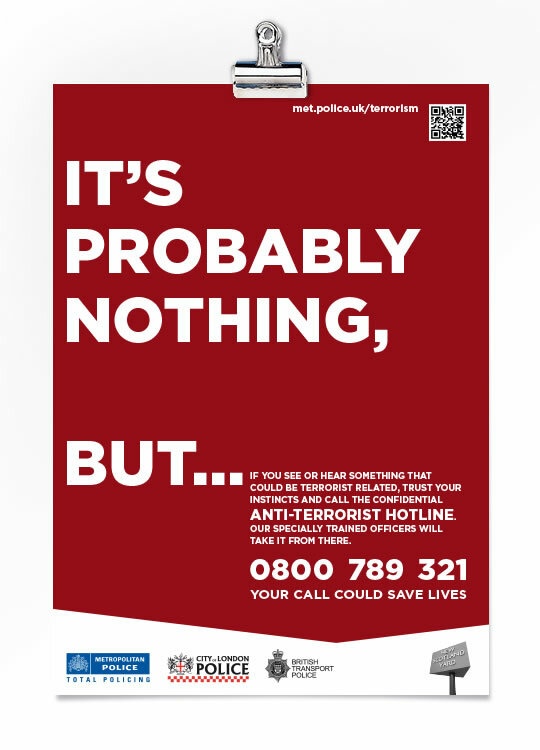 “Anti-terrorism” is not at all what it seems – it is in fact the deliberately misleading label given to a global psychological war waged against most of humanity by a controlling elite. That is the message from an article in Guccio, a new international radical magazine. The authors begin by stating that, despite all appearances, anti-terrorism’s main target is not the people it declares to be “terrorists”, but the population as a whole. Essentially the label “terrorist” is an attempt to translate into legal terminology the vaguer notion of an enemy – an enemy of the system. 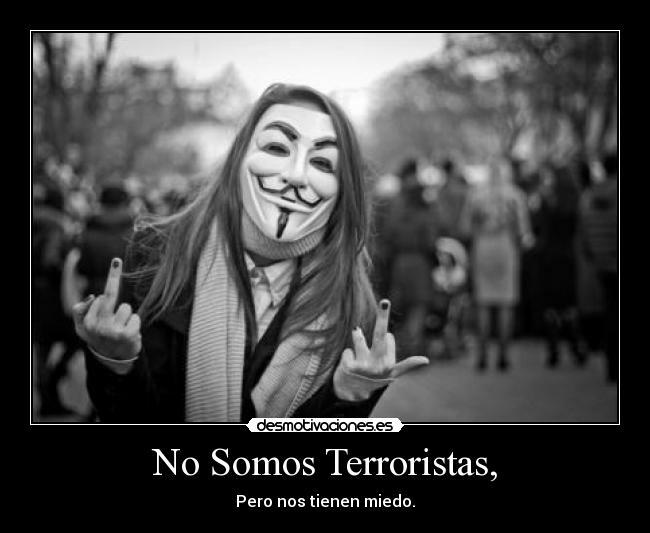 Since the system itself designates its enemies, it also controls the definition of “terrorist”. The idea that anti-terrorist laws are a reaction to actual “terrorist” threats is false. The authors point out: “It is known that among the 11 proposals for international anti-terrorist legislation submitted by the EU during the autumn of 2001 ‘in reaction to 9/11’, six had already been formulated before the attacks, four were already in preparation and only one, concerning asylum and immigration was actually new. 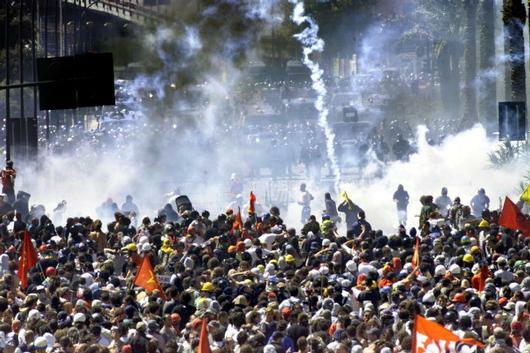 For the Italian General Fabio Mini, after the anti-capitalist protests in Genoa in 2001 there was already no doubt that “violent contestation of the global system is equal in this case to terrorism”. The Guccio article explains that a 2002 EU framework defines as terrorism any action likely “to severely undermine a country or an international organisation”, with the aim of “severely intimidating a population” or to “severely destabilize or destroy the fundamental political, constitutional, economic structures of a country or an international organization”. 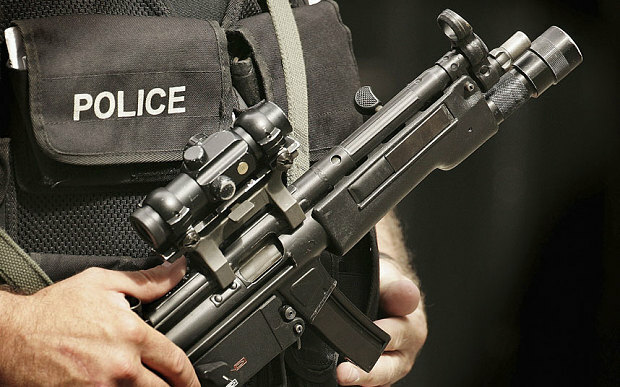 While Margaret Thatcher had already tried to use anti-terrorist laws against striking miners in the 1980s, the practice has now become widespread. From indignados in Barcelona to occupiers of a city hall in Greece, from the alleged authors of The Coming Insurrection in France, to environmental activists from the No Tav movement in Italy – all have been accused of “terrorism” for daring to challenge the capitalist system. Even organisers of protests against the 2014 World Cup in Brazil were arrested under “anti-terrorist” legislation. Why do we even have to say that we are not “terrorists”? It is not just the legal route that is used by the industrial capitalist system as part of its “anti-terrorist” war on dissent. 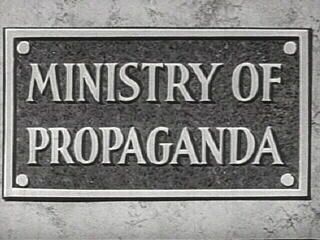 The article cites a paper on defeating anti-globalisation movements which suggests “disinformation and infiltration by agents provocateurs seeking to control and sabotage”. The authors comment: “If we have in mind the European scale of the infiltration carried out by British police spy Mark Kennedy, as well as the police’s strategies during some anti-summit protests, we can be certain that these few lines are not empty rhetoric, but a global policy being conducted against us. We therefore need a counter-strategy, on a scale as global as the enemy’s manoeuvres. They stress this international aspect more than once, pointing out that “nowhere we have succeeded in our attempts to neutralise anti-terrorism. One of the reasons why we fail may be that we have always struggled against it at a national level, whereas it represents a global policy. They also suggest that the way we conduct our struggles can help undermine the absurd smear of “terrorism”. Activists from the Anarchist Action Network formed part of the second rooftop occupation of an Israeli factory in Kent on Monday July 6. This marked the anniversary of the 2014 attack on Gaza and coincided with the Block the Factory protest in Shenstone, in the Midlands. 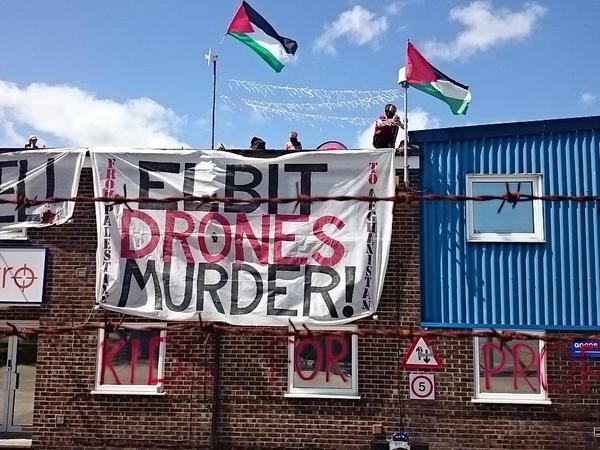 Alongside Palestine solidarity campaigners and other anti-militarist comrades, the AAN participants launched an early-morning assault on Instro, a fully-owned subsidiary of drone manufacturer Elbit, which makes optical guidance components. The compound and roof were both taken by 4am, with a sound system on the ground inside, a lock-on to the main gate and other protesters remaining outside the premises on the Broadstairs industrial estate. Police turned up, initially in large numbers, and at one point were spotted trying to climb on to the roof from the back of the building – however, their ladder was not long enough and they retreated! The factory was closed for the whole day and the occupation crew exited the premises under their own steam after a 12-hour stint. The Turkish state sent in military police to attack local people in the Black Sea province of Rize who had formed a human chain to halt road-building bulldozers. 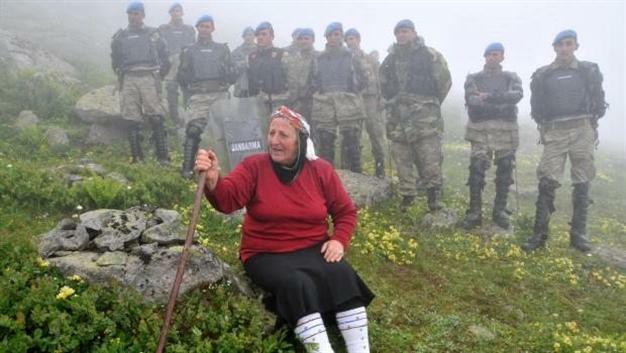 Fierce resistance to the ecocidal industrialist project broke out in Rize’s Çamlıhemşin district where locals opposed the connection of Yukarı Kavun and Samistal pastures, fearing that the new road would push housing and industry into the untouched nature of the region. Havva Bekar, one of the most senior members of the group, has become a social media phenomenon. In a video shared by thousands of social media users on July 11, Bekar was heard rebuking security forces at the construction site with a stick in her hand. “We don’t want this road. We are the people. Who is the state? The state is a state thanks to us,” she said. Infrastructure projects threatening Turkey’s Black Sea region have become a source of growing conflict between the capitalist Turkish state and the population. Most recently on July 9, tension rose between gendarmerie forces and locals in Artvin, with local activists trying to prevent untouched forest in the region from being cleared for new mining facilities. “A polite knock on the door of a Mr John Shaw of Hastings got Emily Johns a visit from the police. How so? He’s the CEO of a secretive ‘non-profit company’ that’s using tens of millions of pounds of public funds to build white elephant business parks and destroy valuable nature sites. And avoiding accountability looks like a major point of the exercise.” An article exposing the activities of SeaChange in Sussex, UK, (see Acorn 8) has been published by The Ecologist. Worth a read. 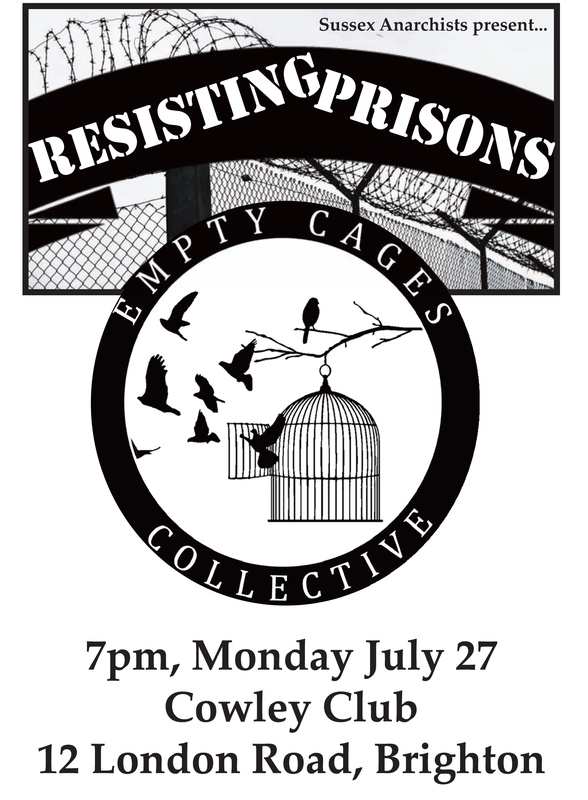 Prison abolition is on the agenda at the Cowley Club, 12 London Road, Brighton, on the evening of Monday July 27. From 7pm Sussex Anarchists will be hosting a workshop from the Open Cages Collective, calling for anarchist resistance to prisons and in particular the new super-prison to be built at Wrexham. Online dissent is being systematically sabotaged by a special intelligence unit run by the British state, an article has revealed. Documents published by The Intercept demonstrate how the Joint Threat Research Intelligence Group (JTRIG), a unit of the signals intelligence agency Government Communications Headquarters (GCHQ), is involved in efforts against political groups it considers “extremist”. The spooks’ work includes creating fake online identities to promote state and corporate agendas and disrupting “extremist” websites and emails. The full report can be read here. A robot killed a young man at one of Volkswagen’s production plants in Germany on Monday June 29, the firm has admitted. The machine grabbed the 22 year old and crushed him against a metal plate. 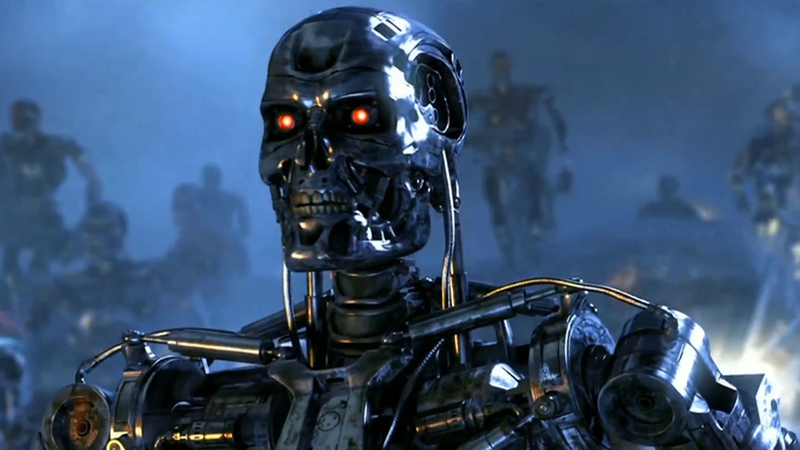 A spokesman blamed “human error” – yes indeed, human error in creating robots in the first place! 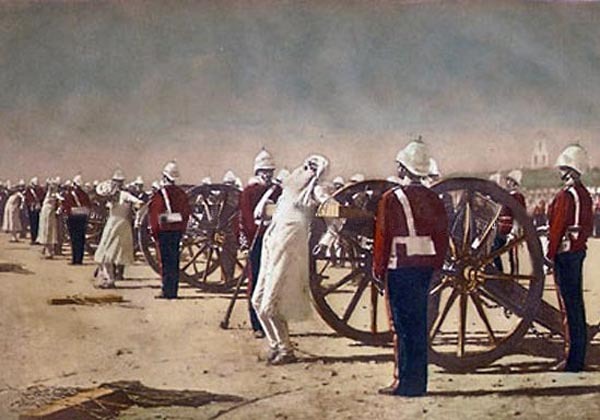 Acorn quote: “The same era that saw the English peasant expropriated from his common lands saw the Bengal peasant made a parasite in his own country”. Edward J. Thompson, The Life of Charles, Lord Metcalfe. 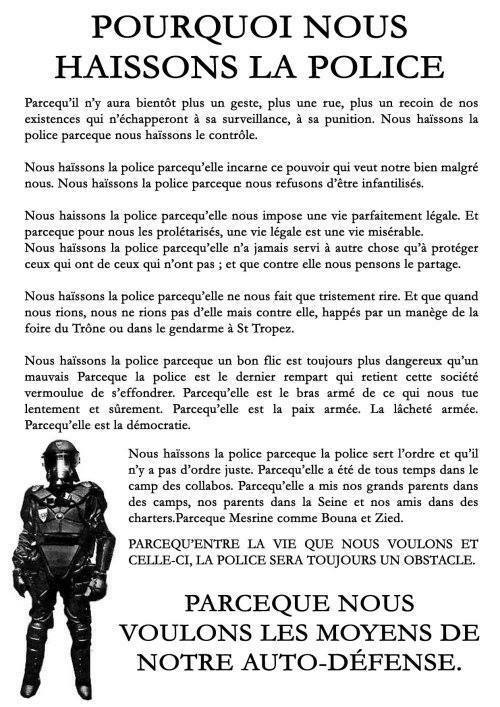 If you like this bulletin please tell others about it. Subscribe by clicking the “follow” button.